I’m one of the best web designers in Kerala to offer excellent web design and development service, our exceptionally talented team of web developers are united under the hood of Graffitopaints to offer you the best in it’s class web development experience. Kerala is a great place where you can get to hire professional freelance web designers who are highly dependable for your web needs. We have proved our skills in designing logos, flayer design, poster design, SEO and in developing Best CMS websites. Our web designers are highly experienced and have worked for the clients from worldwide. We are the leading web designers in Kerala having clients in all most all districts like Trivandrum, Cochin, Palakkad, Malappuram, Kozhikode, Wayanad, Kannur and Kasaragod. We develop responsive websites with pixel perfection, we use hand coded CSS to make sure the ultimate user experience without any non sense, it will help a flawless user experience. We make the best CMS websites in Kerala, our CMS tools are very advanced and user-friendly, if you are a person in need of regular updates in your website, CMS is the best option. We make cheap and best E-commerce website, we use PHP or Word Press to power your website with a payment gateway to accept payment online. Resorts and Hotels web design, here where we can use our creative mind to do some experiments to come up with something extra ordinary, I have made efficient and beautiful websites for many resorts in Kerala and abroad. 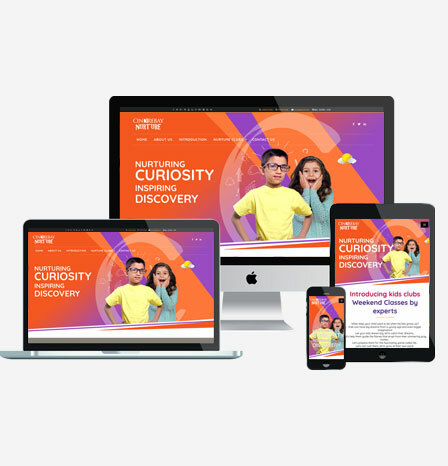 Educational website design, it needs special attention because what they need is result oriented website which can really pull the traffic, yes we have developed education websites for many leading institutes in India and abroad, so get your next school or overseas education website done with us. Perhaps I may be the only web designer in Kerala who have designed more than 50 + Tours and travel websites for the clients in Kerala and abroad, It is real fun to get lost in search of creative ideas when we do web design for travel websites. We can make effective landing pages to convey the content of the page in a clear way, clutter free no nonsense pages in affordable cost.